In this brief guide, I'll explain how to select collaboration tools to match your business's needs. 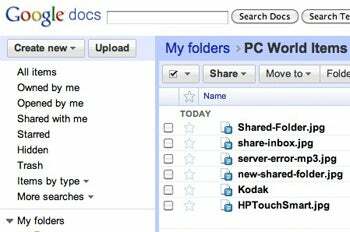 The free Google Apps service is a sensible starting point for many companies. But in some instances, a more-robust paid service, such as HyperOffice or even Google's Apps Premier Edition, can be worth the expense. If your small business is just getting started with online collaboration, the free version of Google Apps is an excellent place to dive in. Google's service acts as a good baseline that any paid competitor should match, as it includes email with a large amount of free storage, sharable calendars, document editing and other tools. With Google Apps or any other service, email lies at the heart of your collaboration. 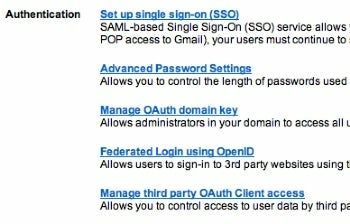 Gmail includes more than 7GB of space for free accounts, and Google is constantly adding storage to the service. You'll always connect through secure HTTP to encrypt data. And as with any other collaboration service, you can access messages from a browser or through your own email client. For realtime communication, Google Talk handles instant messages, voice and video calls. Thrifty businesses may be able to get by with the free edition of Google Calendar. Beyond basic features, it lets you share or subscribe to other calendars, which is crucial for collaboration. You can sync to many phones, important for offline mobile work, or just read data through a mobile web browser. For $50 per year per user, you can upgrade Google's basic tools with business-grade features. Besides adding group administration capabilities to the service, so that your IT department (or person) can manage all users through a single interface, the premium Google services increase storage allotments and provide more-robust user features across the entire suite. Google Mail jumps to 25GB. Google Calendar includes business-oriented tweaks to improve schedule collaboration, such as the ability to compare two peoples' calendars more easily to find workable meeting times. Google Groups gets a business-oriented twist, too, enabling your workers to communicate in a forum environment that's closed to the outside world. In addition, paid Google Apps accounts can use your business's domain name, so email messages can originate from an address "@yourbusiness.com" instead of "@gmail.com." Google provides better support and accountability to business customers, too; when the free, consumer version of Gmail goes down, it won't necessarily take the business customers down with it (Google promises 99.9 percent uptime on its professional services). Ideal for many small and medium-size businesses, HyperOffice balances the robust features and unification of IBM and Microsoft's tools while scaling down to suit companies that lack dedicated IT support. If you run into trouble, you can call HyperOffice and get help and support directly from someone at the company.